Evil black holes have stolen the stars from the night sky! 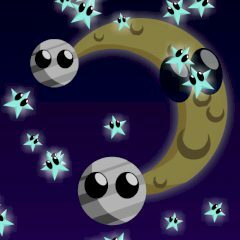 Use the mouse to aim and fire meteors bouncing off the planets and collect stars. Use the points collected from planets and stars to buy upgrades. As you progress, black holes will try to get in your way and disrupt gravity.